● It is closed type Phytotron that biohazard (genetic modified) compliant (P1P level). 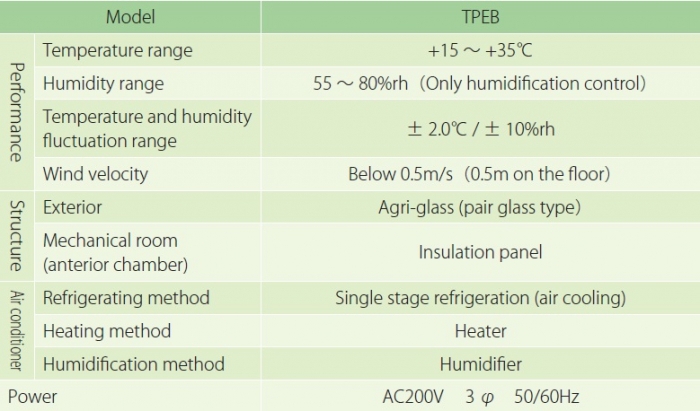 ● Pair glass type of Agri-glass was used. Therefore, it is possible that energy saving and reproduction of optimal environment for cultivation. ● Work and mechanical room is integrated, and it is possible to work in the mechanical room. 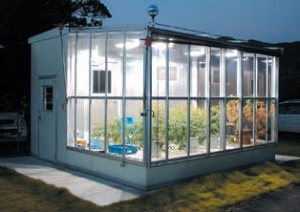 ● It is preparable that light supplement system, cultivation system, carbon dioxide control system, shading curtain, etc. 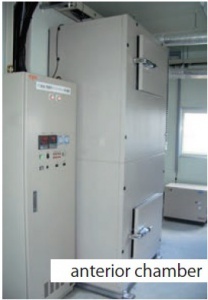 ● Effluent treatment equipment is included as standard.